Why Choose The Marble Man? Natural stones such as marble, limestone, travertine and onyx are popular choices for use in kitchen benchtops, bathroom vanities, bartops and tables, however these are soft, porous stones and are susceptible to staining from food, liquids and toiletries if not sealed. 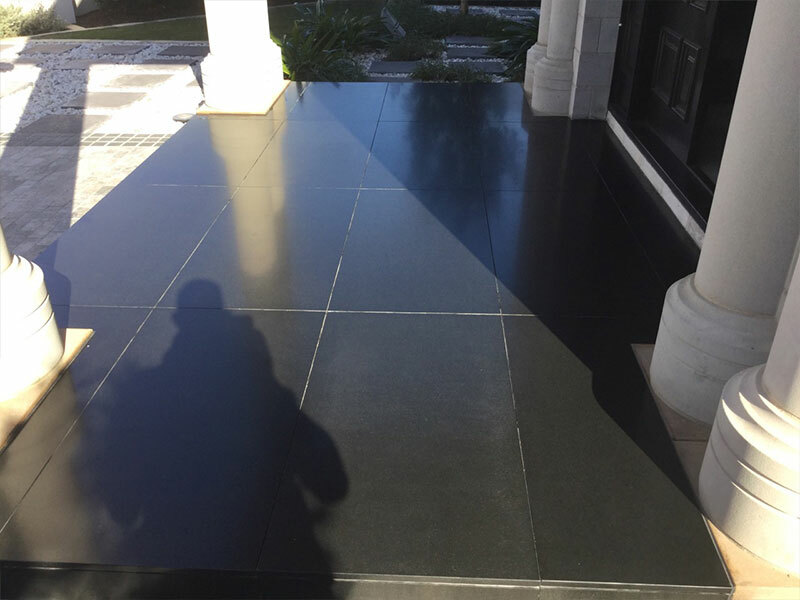 Professional sealing with a penetrating sealer or protection with a special film will help to prolong the look of your stone and will protect it from the discolouration caused by daily spills, make-up, dyes and other coloured liquids and foods. 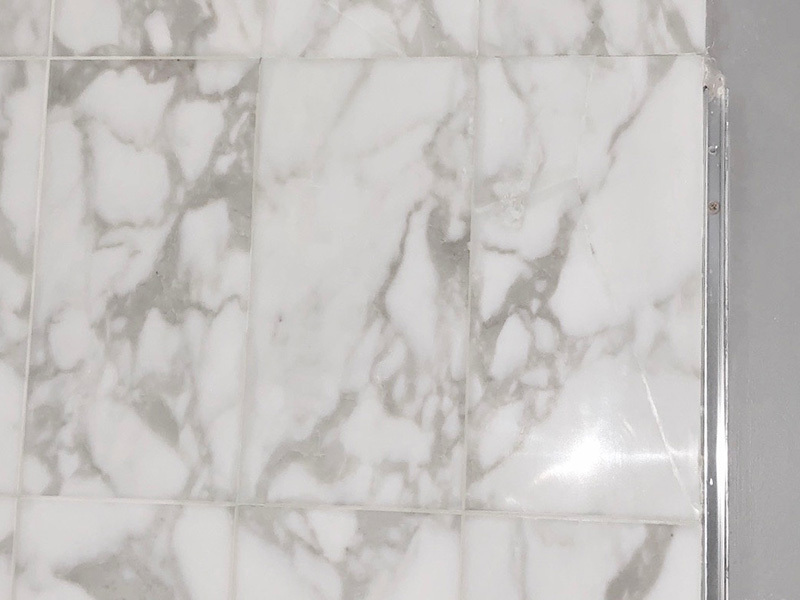 The Marble Man offers a variety of sealing options in addition to the penetrating sealers, which include a natural look sealer, an enhancing sealer which will make the stone look darker, and a film called TUFFSKIN that will prevent staining and etching. As a general rule all natural stone surfaces including floors should be sealed, however the type of sealer often depends on the location, type of stone, finish and the desired look. 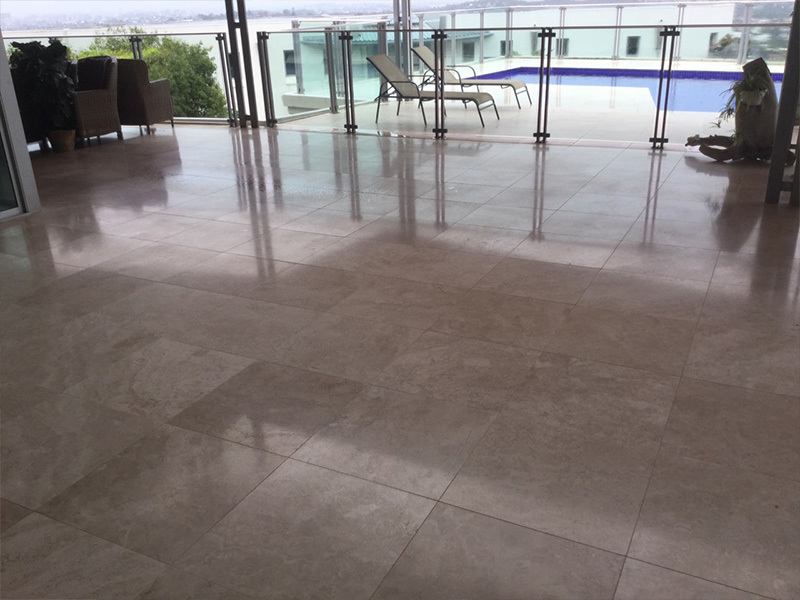 Stone floor tiles made from travertine, limestone and marble in high traffic areas can stain from exposure to daily food and liquid spills, water from mopping and dirt from shoes, therefore a good quality penetrating sealer is required. The Marble Man can seal your natural stone floor tiles with a natural penetrating sealer that won’t change the colour of the stone, or an enhancing penetrating sealer that will darken the stone and highlight the unique characteristics of the stone. Our technicians will inspect your natural stone floors to determine the right sealer for your needs. Showers and bathrooms made from marble, travertine, limestone, onyx or other natural stones can stain from dyes, soaps and constant exposure to heat and water. Sealing is essential to prevent discolouration and staining and preserve the look of the stone shower or bathroom for longer. A good quality penetrating sealer is required in all natural stone showers and bathrooms. The Marble Man offers a range of high quality sealing products to suit every stone type. We have tested many different brands and have chosen only those that provide exceptional protection and coverage. The Marble Man technicians have been trained to use these sealers by the distributors and accredited to apply them professionally to marble and other natural stone showers. Outdoor stone pavers are commonly made from porous stones such as sandstone, limestone and travertine and are exposed to pollution, water and organic matter such as soil, leaves and bird droppings. Sealing is essential to protect these stones from mould and staining however the right sealer must be chosen to protect the stone. Outdoor stone tiles used around pools and on driveways need to be slip resistant therefore a penetrating sealer rather than a waxy coating would be more suitable. It is recommended that new stone pavers be sealed immediately after installation or existing stone be sealed after cleaning or honing. The Marble Man will professionally seal your outdoor stone areas so that they will be easier to maintain and will look stunning for longer. Bring Your Stone Back To Life Today! We recently had the Marble Man complete a job at one of our rental properties. There staff are very friendly and they did a great job. Would highly recommend them. Amazing service for one of my high end clients properties as always! Sometimes they can be so booked out in advance so pre planning is needed. But worth the wait for such a quality finish! I would never trust my stone with any other company. Very highly recommended! Recently had a repair done on our benchtop and we are very pleased with the end result. The technician arrived early and completed the repair in the required time. I would highly recommend "The Marble Man" to anyone wanting a bench top repair. I had an issue and wasn't impressed with it. They made sure to contact me to resolve the issue I had and gave excellent customer service and I felt they genuinely cared about my concerns I had perviously. I'm Very happy with the outcome and how they dealt with me as a customer. We've had the Marble Man remove stains from a number of kitchen benchtops. They have always turned up on time and their tradesmen have be knowledgeable and very polite. The work has always been completed to our satisfaction. Would have no hesitation in recommending them. From my first contact with Kate to my later contact with Melinda the team at The Marble Man were unfailingly polite, friendly and professional. They answered all my questions, booked my job quickly and efficiently and explained the costs up front so there were no surprises on the day. They were very accommodating when I realised that I had double booked myself and worked with me to find a date that suited me. On the day of the work (recutting the holes for my hob and sink, as my new ones were bigger) Peter arrived on time, he was friendly, clean and tidy and tried to minimise the dust - there is a lot. The job took the time that was quoted and the cost was exactly what had been quoted. I would definitely recommend this company to anyone who needed their worktops done. We have used The Marble Man many times and have also found the work they do is of the highest standard. It doesn't matter how big or small the job, the work is always carried out in an extremely professional manner. They offer a professional service and always meets the committments they make. I had the pkeasure of meetimg Ross from The Marble Man 23/10/18. Ross repaired a chip on our kitchen bench top, removed old grout in joins and replaced with new..He also Nano cleaned the benchtop.. Ross has done an excellent job, he is very professional and precise with his work. The Nano clean has bought my benchtop back to looking like new. We cannot see where he has repaired the chip on the edge of the benchtop. I would highly recommend Ross from The Marble Man.. Excellent job Ross and thank you for your work..
Etching all over my benchtops from a previous owner of the property. Ray came in and made them look and feel brand-spanking-new. Couldn't be happier! Thanks, guys. A fantastic job done by Peter from the Marble Man, very friendly and professional Our kitchen bench top looks amazing. Thank you. Shaun and Marty from Marble Man were the final step in our home renovations. It was so refreshing to come home and not have to clean up after the contractors. They did an amazing job and left simple helpful advice for the best upkeep of our natural stone throughout the house. Thanks again gentlemen. My overall experience was excellent. Everyone I dealt with at The Marble Man had a very high level of customer service and knowledge about the job. Everyone was friendly and easy to deal with and kept me well informed along the way. I really couldn’t find anyway to improve the service. I’m really thrilled with the final result, my bench top looks lovely. I just wanted to let Steve know how happy we were with the job, Ray, Caleb & Ash did. Our tiles look fabulous! Wanted to make special mention of the 3 guys – they were so very nice. It was a pleasure having them in our home. How would you rate your experience with The Marble Man? First Class - 10 out of 10. Do you have any suggestions on how we can improve in any areas? No everything went well and we were extremely happy with the result. How was the completed job? Outstanding!! How did you find our job and inspection technicians and office team? Estimates done methodically and professionally and Paul was great, worked without interruption and was cheerful and pleasant. Well done!! Hi Emma, Great Job, good communication by your staff, especially Natalie (in the office). I would rate your company 10/10. Thankyou, Michael Maciejewski P.s. I would not hesitate to recommend you family and friends. The Marble Man was absolutely fantastic to deal with. Have a look at our answers to their feedback... How would you rate your experience with The Marble Man? 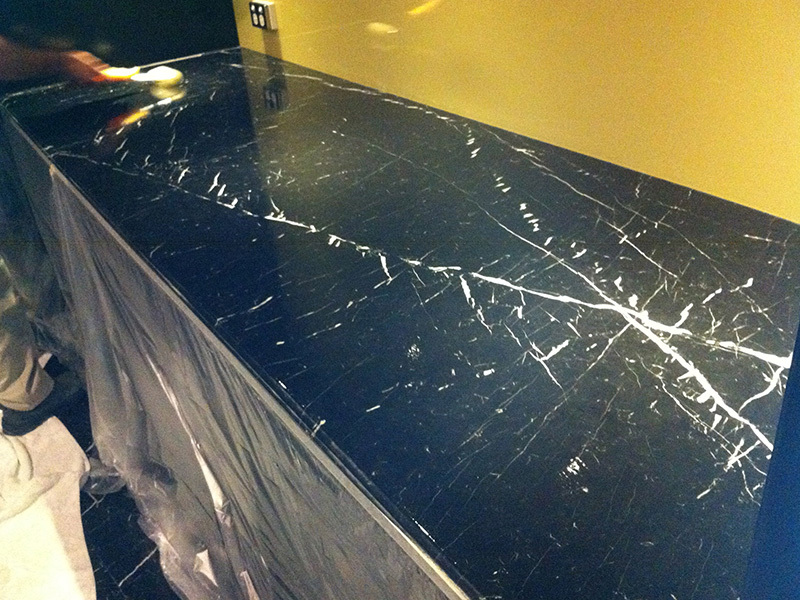 From the very first time we contacted Marble Man we were afforded the very best of service. Our questions and enquiries were answered thoroughly and promptly. Whatever we asked for we received in record time and absolute completeness. Do you have any suggestions on how we can improve in any areas? We can see nowhere for The Marble Man to improve. Your attention to detail, phone and email service is at an exceptional level. How was the completed job? BRILLIANT. We watched to product application and were given terrific answers to the other questions we had. The upgrade from Stain Proof Original to Stain Proof Plus (at no extra cost) but with the 25 year warranty was an unexpected and greatly appreciated “gift”. We are very keen to look after our beautiful bench top and your product gives us great confidence. How did you find our job technicians and or inspection technician? Tim was the consummate professional. At all stages of the application he provided details of what he was doing and his final wrap-up of the process and care instructions makes us sure we chose the right after installation people - The Marble Man. We can't rate them highly enough. The only stone professional for maintenance and repair of stone surfaces. They have been to my Sydney home on 3 or 4 occasions now and each and every time the technicians and the results have been above expectations. They have worked wonders on my marble bathrooms and travertine flooring. Prompt, reliable and with great office staff handling the bookings. Prompt. Reliability. Professional. Friendly. I cannot recommend The Marble Man enough. I didn't realise how dull my stone bench tops had become. The difference was remarkable. So I got them back to clean both showers. I've had other professiobal tile cleaners in but they did not compare to the super clean shower recesses I have today. I'm obsessed with clean surfaces and these guys delivered in every way. Thank you so much. I am truly grateful. Fantastic service and advice! The understanding and commitment to getting a positive resolution on our brand new stone kitchen benchtop was outstanding! Can't thank the staff enough! 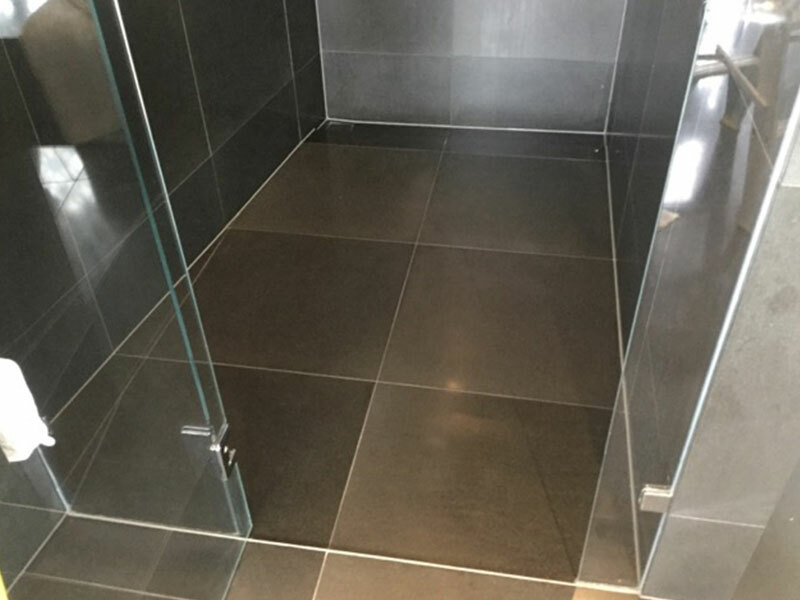 For everything natural stone- stone repair, stone polishing, stone sealing, stone cleaning etc., The Marble Man is the perfect stone specialist you can ever get in Australia. Their service is available at many places in the NSW and QLD regions. Good quality and services! Highly recommended services and products! I happened to see their excellent stone restoration job while staying in a hotel in Gold Coast during our business tour from Qatar.